Kyle Kaminsky was uncomfortable, and that was a problem. After forgetting to pack a swimsuit for a vacation in Croatia, he bought a pair of board shorts from a well-known brand and headed to the beach. The shorts were terrible. They were ill-fitting and, worse still, the mesh liner irritated his legs when he walked, leaving him with a rash. On vacation in one of the world's most beautiful locales, his trunks were bringing him down. Kaminsky returned home to Toronto in search of a quality pair of swim shorts. "After doing some more research, I realized there's really expensive options and inexpensive options, but there's nothing of good quality at a reasonable price point," he says. So it was that Bather, a Toronto-based maker of stylish, comfortable men's swimwear, was born out of one man's quest for the perfect pair of trunks. Kaminsky has been not alone in this mission. On vacation in Rajasthan with some friends, photographer Adam Brown was frustrated by the necessity of changing out of his swim trunks to have lunch in the hotel bar. Why not, he mused, create a trunk that looks as good by the pool as it does indoors? 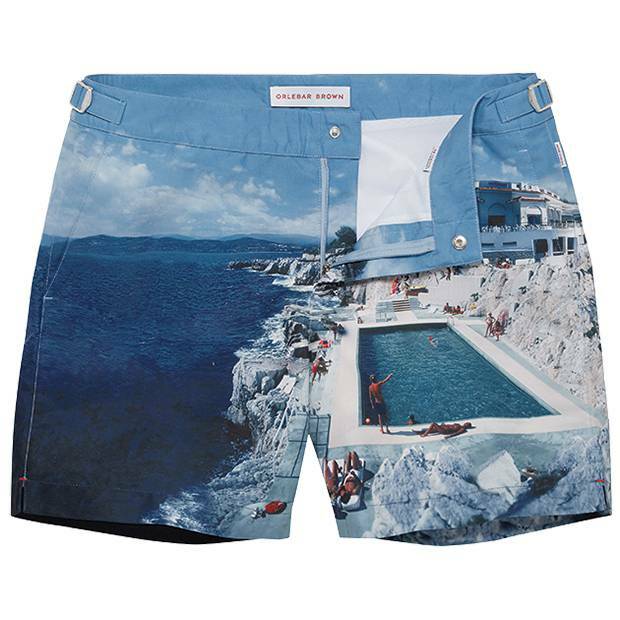 "We didn't launch as a swimshort brand," he says of Orlebar Brown, the company he subsequently created to fill this gap. "We launched as a short you can swim in." From the 1930s through the 1980s, men's swim trunks were trim and tailored, cut more like underwear than shorts. Then in the 1990s, the surf trunk came into vogue, and while its elongated hemline protected surfers' knees whilst paddling, it was hardly a flattering silhouette. Its counterpart, the Speedo, posed its own share of aesthetic issues. To Jonathan Elias, co-owner of Toronto men's-wear boutique Lost & Found, the arrival of tailored swimwear to disrupt this dichotomy was only a matter of time. "Growing up we had limited choice: board shorts or Speedos," he says. The recent men's-wear boom was an opportunity for new brands to make a mark on previously neglected spaces, among them swimwear. "Now you have brands that offer a contemporary take on these pieces," says Elias. "Slimmer silhouettes, slightly shorter inseams, a more modern fit, pockets for functionality: They're truly embracing the marriage of swim and everyday wear." Brown began his design process by looking to the likes of Sean Connery, David Niven and Alain Delon in their prime for inspiration. "The Talented Mr. Ripley, Dr. No… the Mick Jagger/Jerry Hall years," he says. "It's very romantic." Orlebar Brown offers multiple fits in an impressive array of colours and patterns, and Brown has incorporated his love of photography into the trunks, printing his favourite shots of 1960s poolside scenes directly onto pairs. These consist mainly of photos by Slim Aarons, the unofficial photographer of the midcentury jet set, but has recently expanded to include any photo consumers care to provide. A new "Design Your Own" service allows customers to submit a photo via a smartphone app (dogs are particularly popular, Brown says) and receive a pair of one-of-a-kind trunks in just four weeks. For Bather, the first hurdle was to find the perfect material. "We've definitely learned a lot," says Kaminsky, who previously worked in sales for a recycling company and studied Neapolitan pizza making, but had no experience in the fashion world. "It took about two years to master the fabric," he says, noting that it needed to be quick-drying, colour-fast, comfortable against the skin and resistant to the ravages of chlorine, saltwater and sunlight. Memories of his Croatian experience still vivid, he also engineered Bather's liner to be as comfortable as the outer fabric is robust. "It's basically the softest mesh that you can put on your skin," he says. Kaminsky designs his fabrics alongside his brother Evan, a magazine art director. Bathers are available in two cuts, the Surf Trunk ("a tailored board short – it's longer but still fitted") and the Swim Trunk ("wider legs, mid-thigh length, it's for everybody"). Both are made in Canada, but since his company has relatively low overhead, he's able to sell his trunks for $85, good value for a product that he promises will last years. "You want to offer your customer the best experience and the most you can for the price," he says. Similarly, Orlebar Brown's trunks have more in common with a pair of trousers than a traditional swimsuit, with attention paid to assuring a fit that's neither too loose nor too restrictive. "I don't understand why a man thinks he looks better in the baggy boxer shorts or something that's too tight – I believe the middle ground is best." 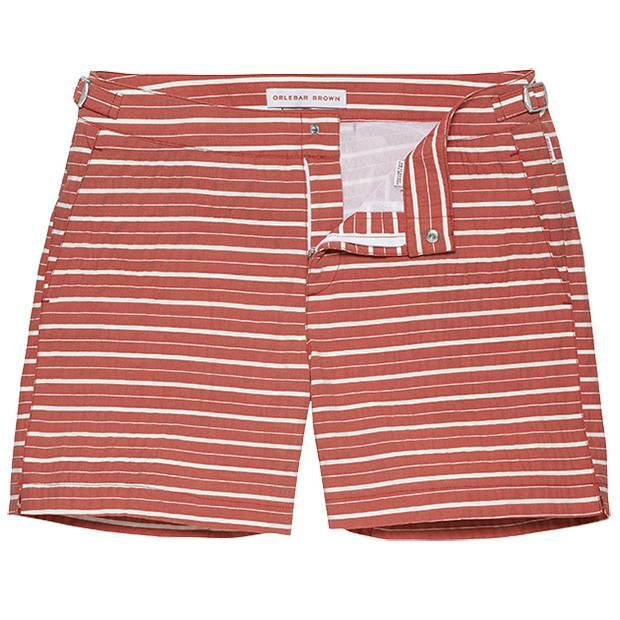 While his pieces range from $145-$345 (U.S.), with custom shorts going for $595, Brown also sees his products as an investment in quality, guaranteeing the swim shorts for five years. Kaminsky launched Bather from home in 2015 and now ships trunks across Canada and around the world to customers who appreciate his nexus of design, quality and price. Australia has recently become a booming market – as good an endorsement as any swimwear designer could ask for. His latest Canadian stockist is Concept, a specialist boutique at Yorkdale Shopping Centre dedicated to Canadian brands. With storefronts in Soho, Miami, The Hamptons and Cannes, and a popup this summer at Toronto's Holt Renfrew, the success of Orlebar Brown suggests a robust audience of men seeking to cut a more dashing figure at their next pool party. 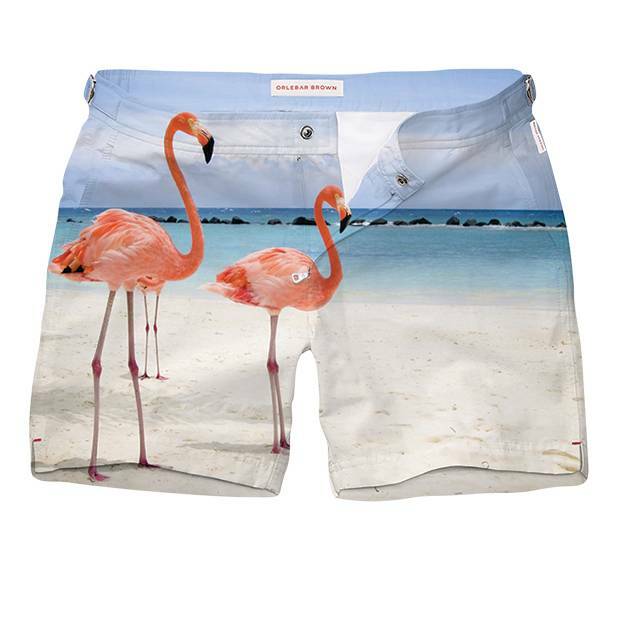 Both brands prove beyond a doubt that Kaminsky and Brown are far from the only ones in search of the perfect trunks.